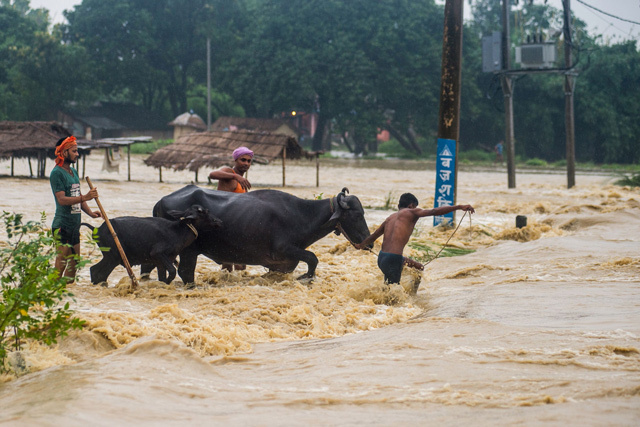 Monsoon floods and landslides have killed at least 94 people across Nepal and India but officials fear that figure could rise sharply as rescuers search for dozens believed lost under mud and in submerged villages. "Another 17 are missing. Search and rescue works are underway but the water levels have not declined yet," said Shankar Hari Acharya, the chief of Nepal's national emergency centre. The Red Cross estimated a higher death toll of 53, with dozens more missing and injured, and thousands of homes destroyed. In neighbouring India, a massive landslide in the mountainous north swept two passenger buses off a hillside and into a deep gorge, killing 45 people, an official said. Forty-five bodies have been recovered from the accident site in the Himalayan state, said Sandeep Kadam, a senior official at the scene, late Sunday. But more were still missing somewhere at the bottom of the ravine, with soldiers and rescuers working into the night to reach those beneath the mud and rock. "Around 200 metres of national highway washed away with two buses and more than 50 feared buried," said Indian army spokesman Colonel Aman Anand, who was helping coordinate rescue efforts. "Pained by the loss of lives due to landslide-related accidents in HP's Mandi district," he posted on Twitter, using the acronym for Himachal Pradesh state. 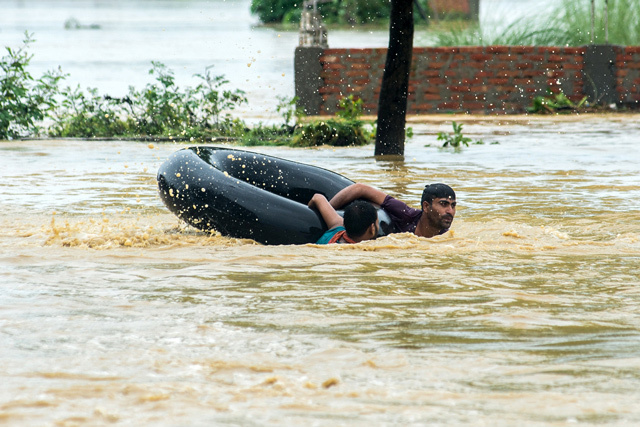 In Nepal the toll from this year's monsoon - which typically lasts from late June until the end of August - has already eclipsed last year, with more than 100 people confirmed dead. Nepal's weather department warned that heavy rain was expected to continue for another day, following days of torrential downpours. 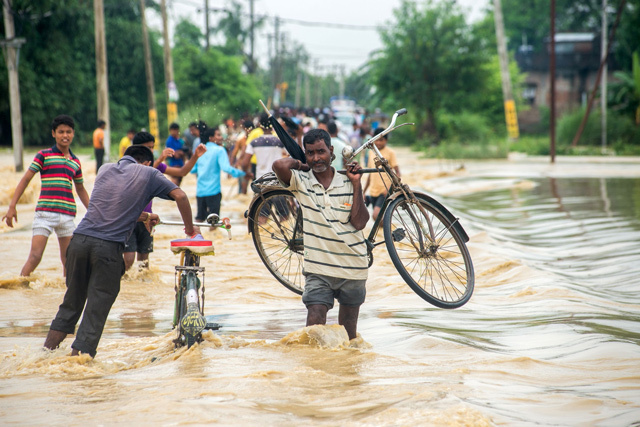 "There isn't a house without water," said Raghu Ram Mehta, a resident of the southern district of Sunsari which has suffered nine deaths, the highest of any district. "Hundreds of families are taking shelter in local schools." Biratnagar airport in the eastern district of Morang was closed after being submerged in a metre of water, according to authorities at the international terminal. 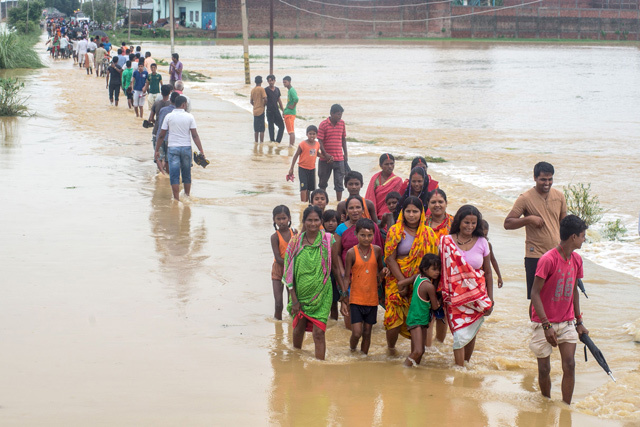 "I have already instructed authorities concerned to rescue flood victims, move them to safer locations and immediately provide relief to them," Prime Minister Sher Bahadur Deuba said in a video recording Saturday.